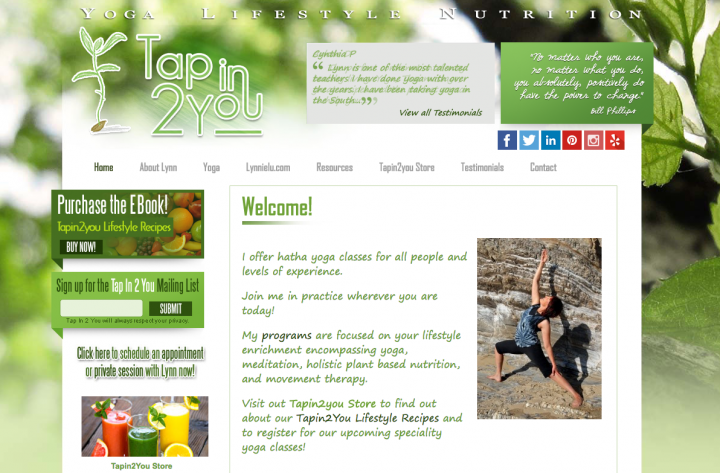 Lynn is a personal yoga instructor that teaches yoga and health classes through her brand, TapIn2You. As she grows her business, she wanted ways to bring in other streams of income. Lynn already had a website which wasn't too bad. It just looked a little outdated and wasn't mobile responsive. Lynn wanted the the new site to be less cluttered and have a cleaner, more modern feel. She also needed a fully functional eCommerce store, so a redesign was in place. SparkFlow started with a simple site design with a lot of empty white space. This helps create a feeling of calm and peace. We took the green from her logo and old site and integrated it through as an accent, evoking emotions of health and growth. Pictures of yoga in beautiful landscapes create a yearning to try it out. Clean white space and sweeping photos create a calming experience. 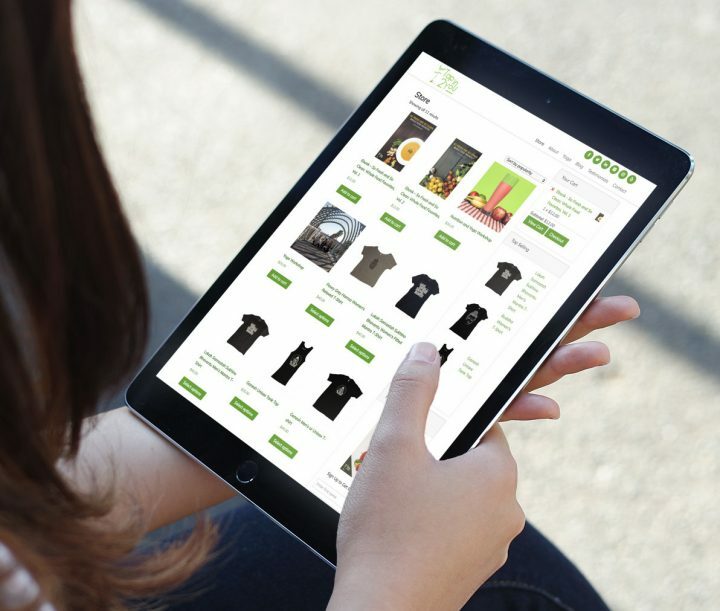 We also added interactive features that Lynn needed, including a full eCommerce store where she could sell a mix f products, including in-person Yoga classes, physical T-shirts, and digital eBooks. We also added an engaging blog for visitors to browse. 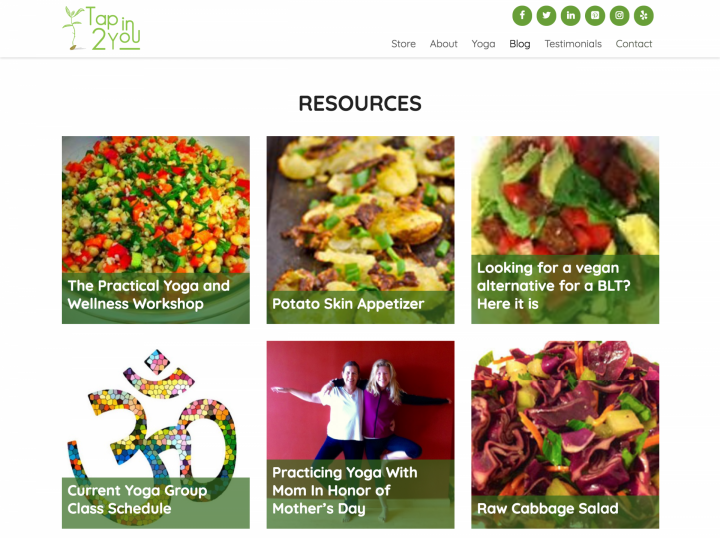 Lynn and her TapIn2You business ended up with a website that serves her customers in multiple ways, from yoga instruction to healthy food recipes to even apparel. 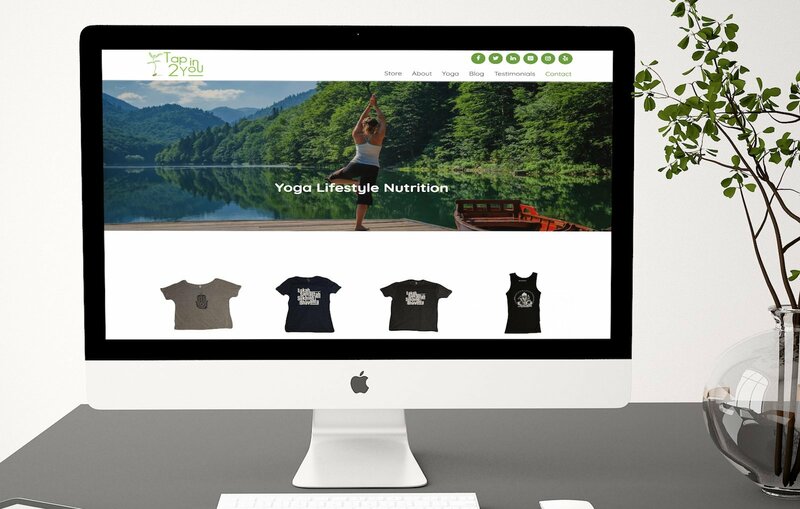 The new website brand enabled her to transition from a Yoga instructor to a growing health and fitness brand. Ecommerce store that sells physical and digital products. Steven was very helpful and knowledgeable about completing my website. He worked quickly and listened to my requests as well as brought in some extras that I needed to be aware of. I would highly recommend his work.